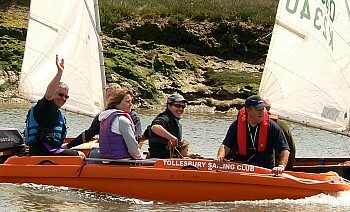 Tollesbury Sailing Club has four safety boats, which are outlined below. 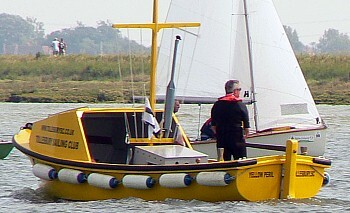 The main club boat is an 18 ft. open launch with a forward cuddy. Based on a GRP workboat hull with the proverbial clonker for propulsion, which is a two cylinder Lister diesel, air cooled, and hand start, with no electric’s on board, it’s basically simple and very reliable. Based on the colour it’s normally known as the ‘Yellow Peril’. 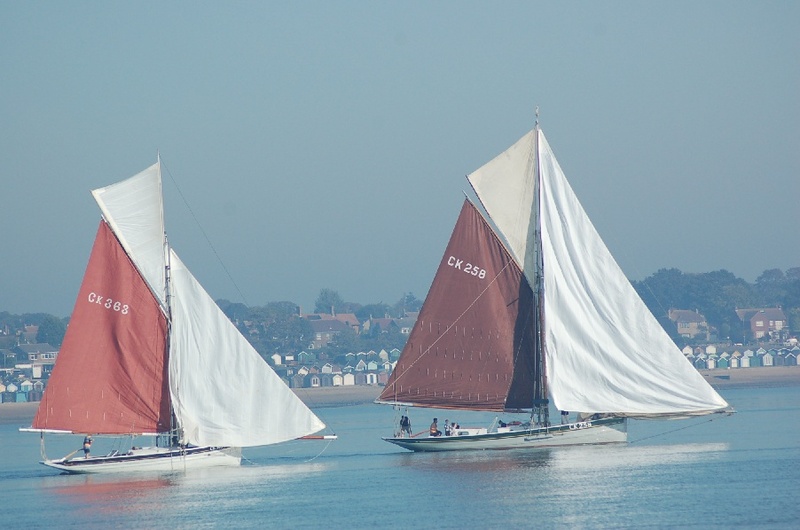 This we use to start and finish most dinghy races, as well as start and sometimes finish some cruiser races, or just follow the fleet. 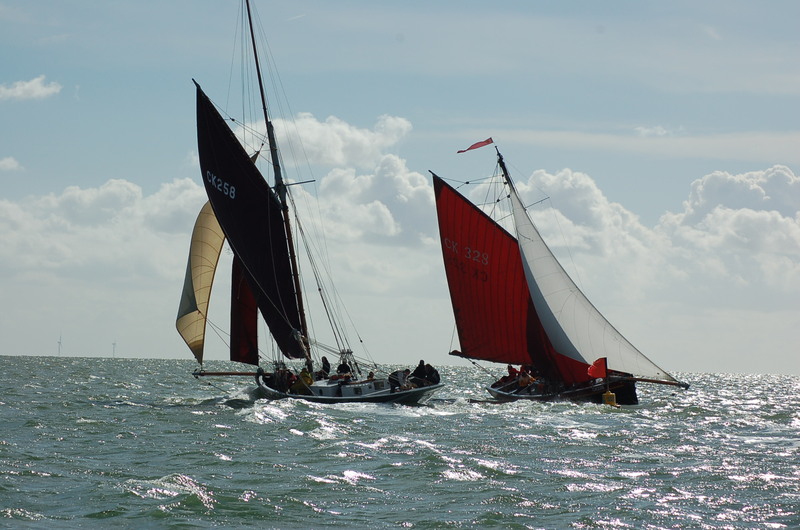 With cruiser races, it’s been known for the ‘Yellow Peril’ to head directly for the finish line to finish the race, but perhaps more importantly, to act as a ‘water taxi’ for any crews wishing to go ashore, usually to another club or the local pub. The Peril is very useful as a mother ship during events because the cabin provides a shelter from wind and rain giving the opportunity to warm up. In 2008 she had a major refit. 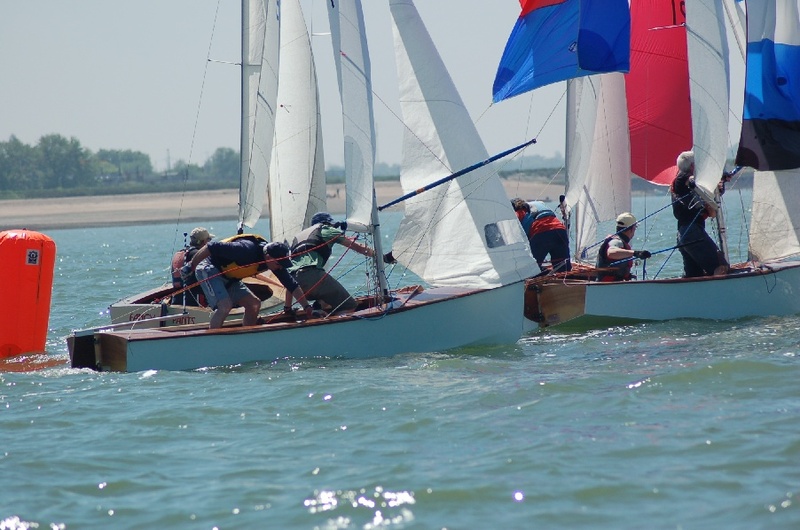 ‘Stag 1’ is one of our RIBs and was purchased specifically to improve our cover for dinghy racing and looking after the cadet fleet. It’s a Valiant 450 DR with a 40hp Suzuki outboard. RIB’s have the ideal hull for this work as the tubes are just large fenders to other boats and cushions to any crew recovered from the water. It can respond quickly to those in need of assistance or just watch the fleet from the furthest part of the course from the Yellow Peril. Using the electric trim/tilt operating in the shallow water is no problem when assisting those in the water or on the mud. 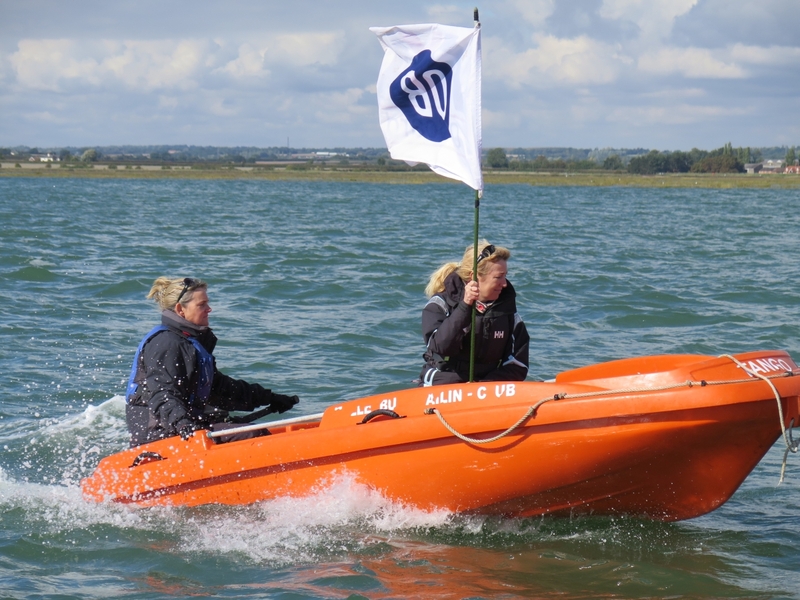 Stag two is a 6.5metre Italian rib with a new (2007) 50hp Honda on permanent loan from the UK Cable protection committee and is an invaluable asset acting as mother ship to the cadets along with Yellow peril. 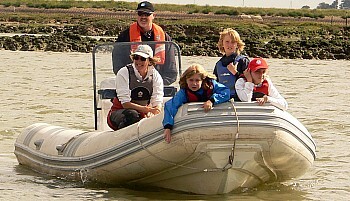 Stag 2 is a large rib ideal for ferrying cadets on organised trips to Mersea or spontaneous tips when there is no wind. 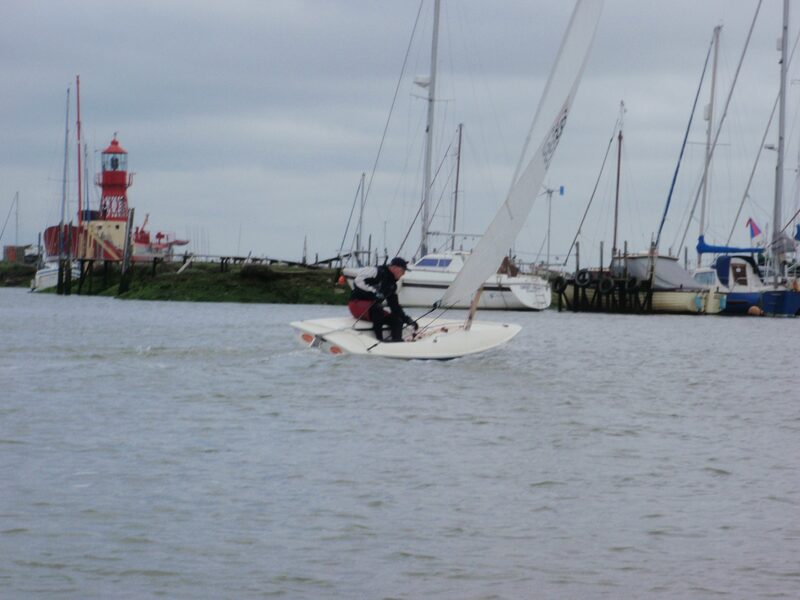 Tango is a 10ft polypropylene Jenneau (French) with a 9hp Tohatsu and is a great hit with the cadets as it can get in real close and this aids coaching and also rescue / retrieval. This is an ideal craft for working as a rescue boat particularly with cadets as it just does not present a big hull coming at you when swimming. With safety in mind more than 30 club members have acquired the Power boat 2 RYA certificates and 18 with the RYA Safety boat certificate. 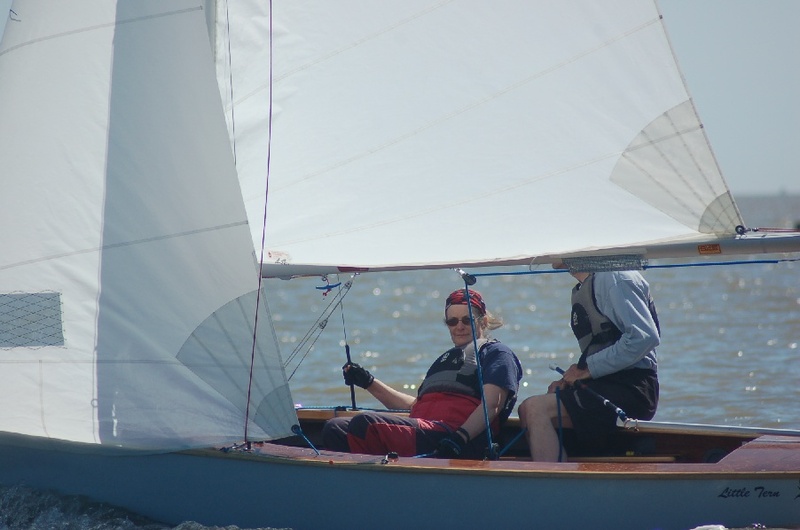 For some they have completed this at RYA centres whereas the large majority has benefitted from our Cadet Captain’s excellent tuition at a reduced cost. We require at least one crew member on Stag 1 to hold a PBII certificate and always at least one of them is prepared to enter the water if necessary. 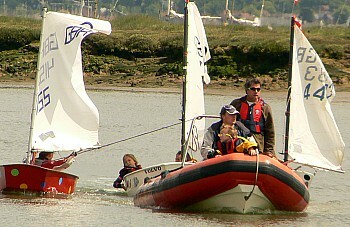 We are always looking for extra crew members, not to take responsibility for the race or event, but to help the O.O.D. with other tasks like taking times, start guns and flags, lookout, pouring the hot coffee or soup (not sunbathing) or just boat handling. If anyone wishes to help out with crewing either boat or take a turn at O.O.D. (Officer Of the Day).